Summer is around the corner and so is the urge to hit the blue water for fun and frolic. To cater to such holidaymakers, but only those with ocean deep pockets, here is a new multimillion-pound water toy. 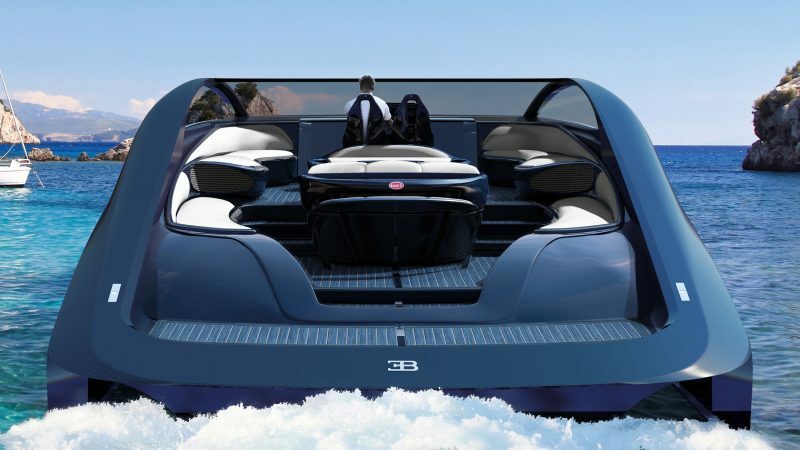 Bugatti, the French manufacturer of one of the world’s fastest production cars, has launched a new luxury yacht. Christened, Bugatti Niniette 66, it is based on the design of its $2.6 million Chiron supercar. 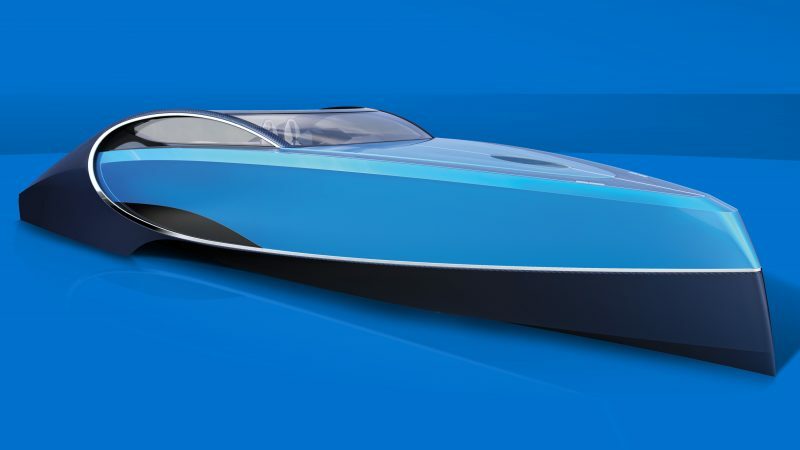 Designed to complement the Bugatti Chiron supercar, Bugatti has teamed up with yacht designer Palmer Johnson to create the Bugatti Niniette 66. 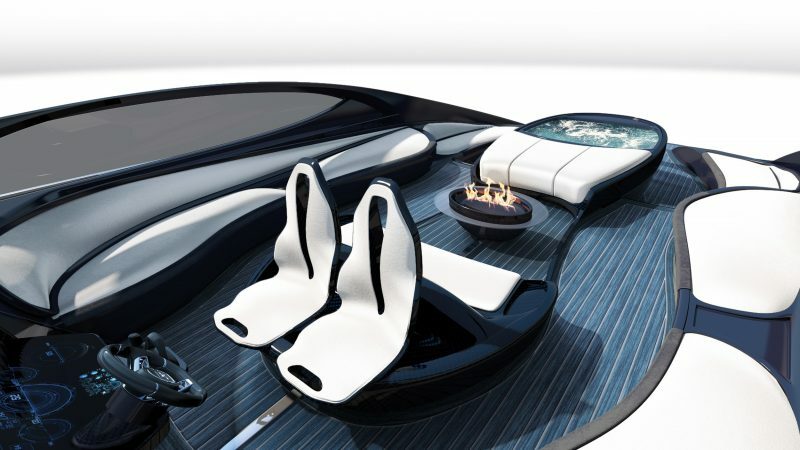 The limited-edition sport yacht spreads 66-ft and sails effortlessly with a jacuzzi and a fire pit on board. 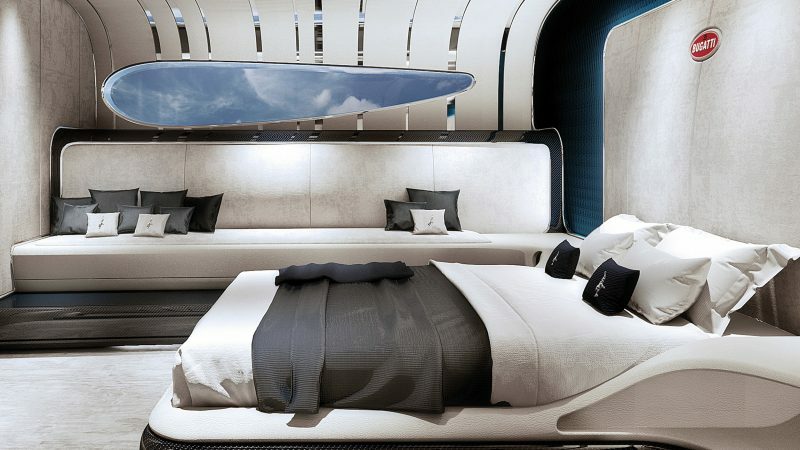 Though the yacht was conceived in 2015, Palmer Johnson state that the yacht has been redesigned to look like the Chiron. 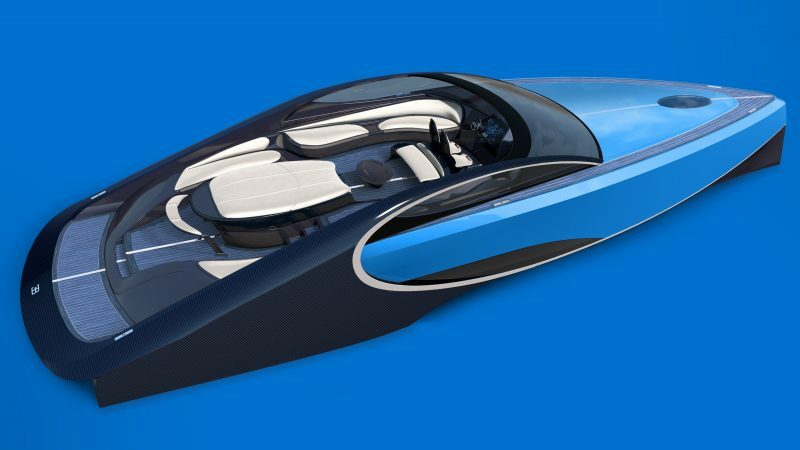 This boat version of the hypercar features a horseshoe design on the sides and is available in two-tone color schemes like the car. 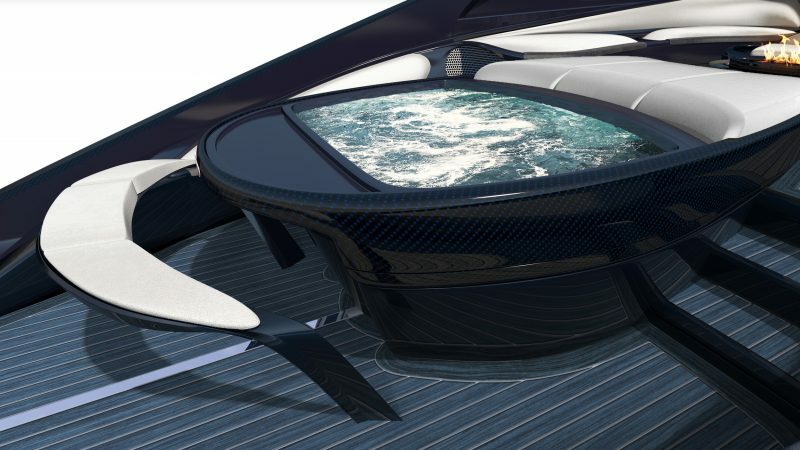 Decked with carbon fiber, marble and leather, the speedy water vessel features both a spacious open deck and interior cabins. The naturally blue morta oak wood is the dominating element on the open deck. A champagne bar and a fire pit complements the hot tub on board. Designed for two, the yacht’s master suite on the lower level is equipped with a swanky double bed along with a large sofa bed in the living area. 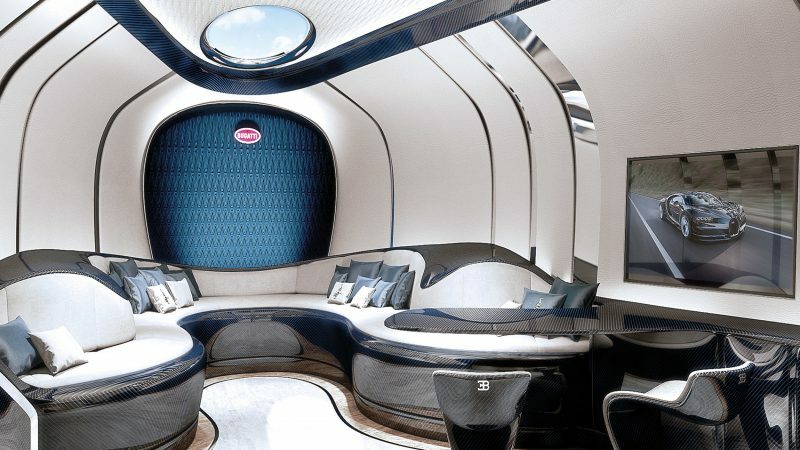 It also comes fitted with a large Bugatti horseshoe overlooking the seats and a flat screen TV. Under the hood of all these glamorous features, the yacht is powered by a Man V8 engine displacing 16.2 liters and making 1,000 horsepower that can propel it to a top speed of 44 knots (over 50 mph). 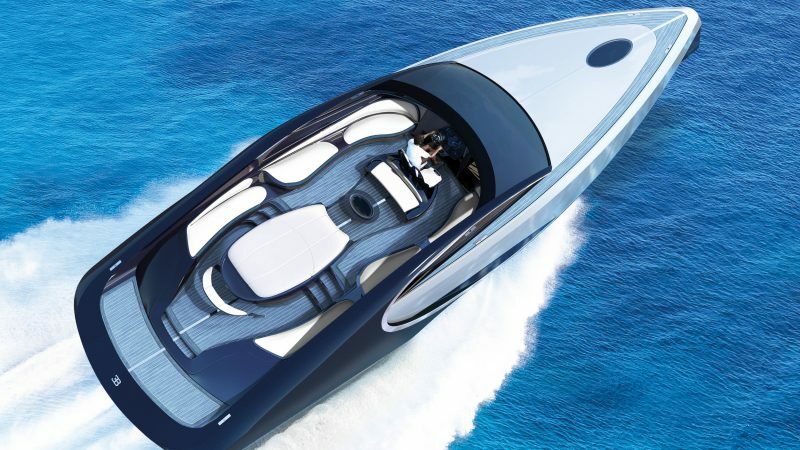 A 1,200-horsepower version of the engine is also available to zoom the yacht to 48 knots, or about 55 mph. With a price-on-request tag, only 66 of them will be made to maintain its exclusivity.